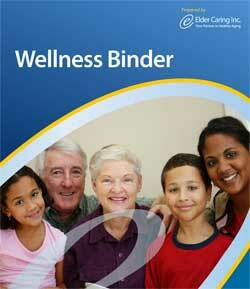 Pre-arranging for Personal Care: Take Two - Elder Caring Inc. Thank you Sally Lee for your blog last week titled ‘Pre-arranging for Personal Care’. My colleague has discussed such an important topic and it is one that I feel strongly about. I felt this blog spoke to me directly as a ‘care service provider’ and as a resource to women such as Jane, and to advisors in the estates and wealth management worlds, I felt I had to continue the discussion. Choosing an attorney for personal care is a topic that I have blogged extensively about and one that all of us need to address. We are fortunate that trust companies can assume the role of attorney for property but there are virtually no choices when it comes to appointing a corporate entity for personal care. There are a handful of lawyers who will take on this role; but typically only if they are named for both property and care. Sally and I provide the same advice – someone ultimately needs to be identified and selected who can make decisions that are in keeping with the wishes of the person, whatever they are. As a care provider we are often requested to work with the attorneys, to develop a plan of care or to enact a plan that has already been established. We are not decision makers and have no legal authority but we do work on behalf of the older individual and /or their attorney for care and property to ensure the older individual is living as well as they can. Like anything else in life, we can either hire specialists to assist us with important decisions and to complete work that is required or we can attempt to do it ourselves. I just completed a renovation and hired a licensed electrician and plumber and had specialists for the tiling and painting. I don’t know about you, but I prefer to hire the experts to do this important work, whether it is buying and selling a house, making a will or renovating my home. Planning and assisting our older clients/family members is no less important and like anything else, hiring a professional will save time, money and aggravation.